Bailey Tree LLC is a family owned and operated tree service company based in Denver, Colorado. Our business was established in 2012 and has been serving the Denver Metro area ever since. We have three ISA certified arborists on staff bringing over 50 years combined experience to our team. We provide residential tree services to the front range from Boulder to Castle Rock and commercial tree services to multiple states in the west. We are fully licensed and insured. 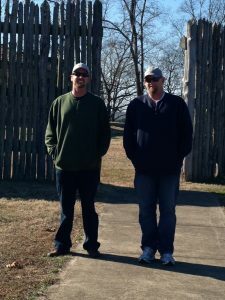 Bailey Tree LLC is owned and operated by Robert Bailey and Steven Bailey. Both brothers were born and raised in upstate New York in the Hudson Valley/tri-state area. Over his thirty years of working in the Denver-metro area tree service industry, Robert Bailey has worked for every large tree service company in the Denver area. He was always hailed as the top tree professional and, in 1996, was inspired to pursue and obtain the ISA Certification. 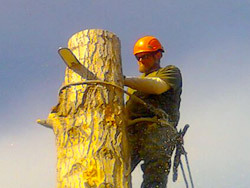 Today he is one of the most well respected tree service professionals in the state of Colorado, taking pride in his safe and efficient work ethic. Steven Bailey earned his Bachelors degree in Biology from SUNY Oswego in 1999 and worked in science research till 2011 when he and Robert began discussing starting Bailey Tree LLC. Knowing Robert was a great tree service professional, Steven brought his knowledge of Biology, Computers, and Communication to join forces with his brother to create a friendly, competent, and professional tree service company. With the Bailey brothers working together, Bailey Tree LLC has become one of the premier tree services in the Denver area performing tree services, including tree trimming and tree removals, more quickly, safely, and with greater care than any other tree service. This push for excellence makes Bailey Tree LLC the best choice for all your tree trimming, tree removal, and tree stump removal needs.